One of the absolute best things about summer is getting together with girlfriends and just having an easy casual dining experience at home. With all of the hustle and bustle of family and work life, its nice to be able to come together over good food and refreshing drinks. 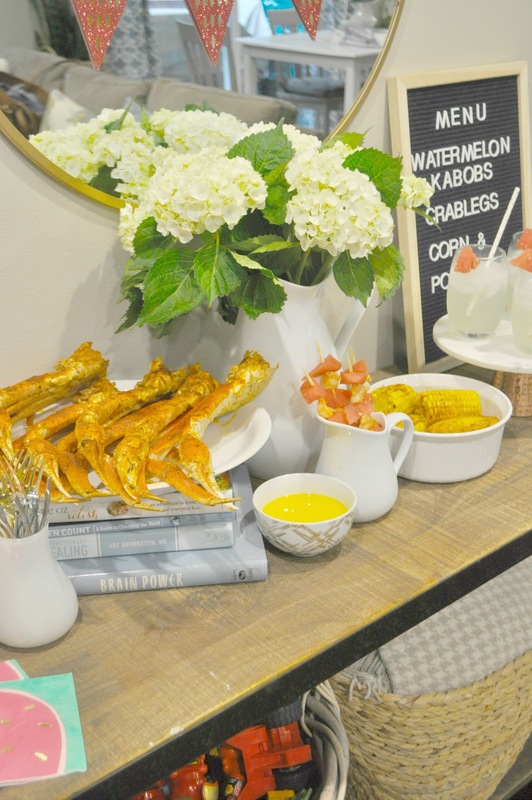 One thing I know about my friends is that we all love a good seafood boil! 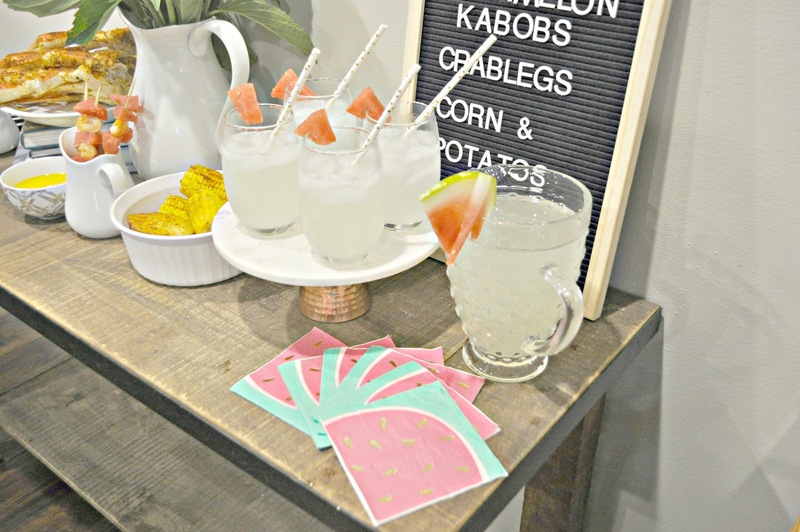 So what better way to host a SUMMER gathering than with steamed seafood, sweet watermelon, and refreshing Minute Maid® Lemonade made with the goodness of real lemons. 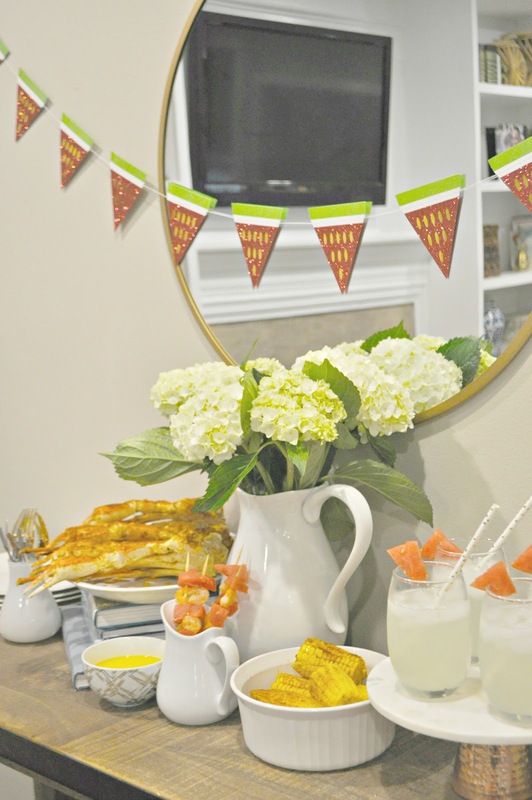 I wanted the decor for this gathering to be themed, yet simple. I also wanted to make sure that I included mostly items I already had at home to save the most money. Heading to my local Kroger, which is my local supermarket, I grabbed some items that I knew would make this girls night in special. 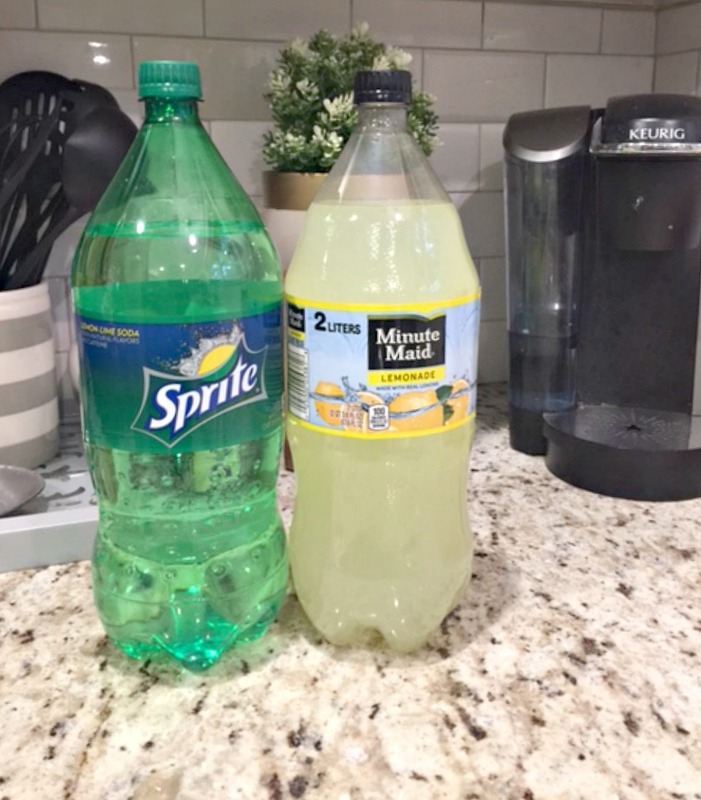 First, I headed to the produce department to find a sweet watermelon, then over to the soda aisle to grab a 2 Liter of Sprite® and Minute Maid Lemonade. 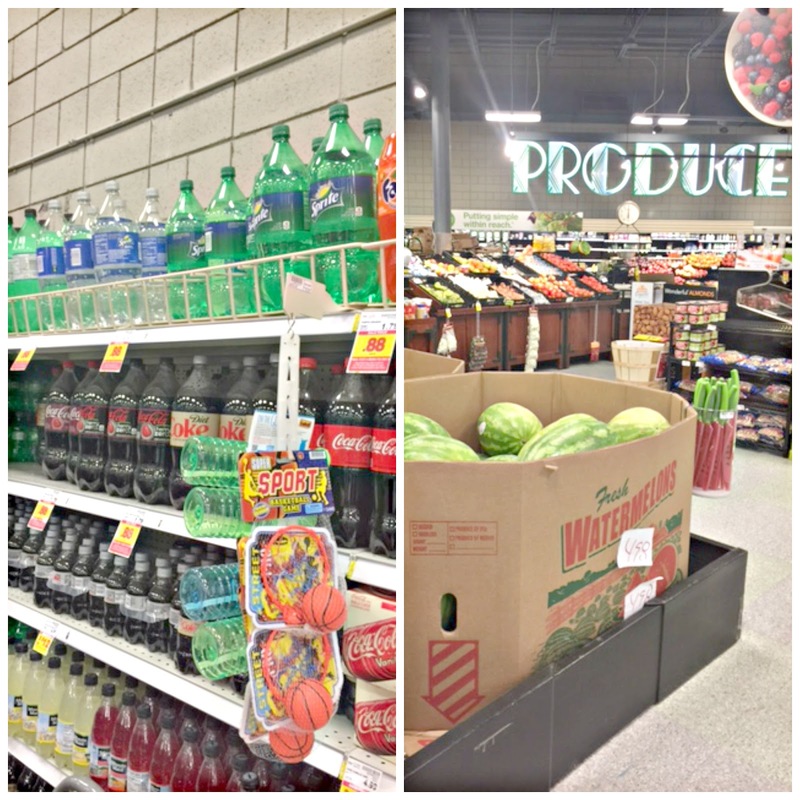 Kroger currently has a promotion where if you Buy any 2 Minute Maid or Sprite 2 liters, you save $1 off your watermelon purchase. 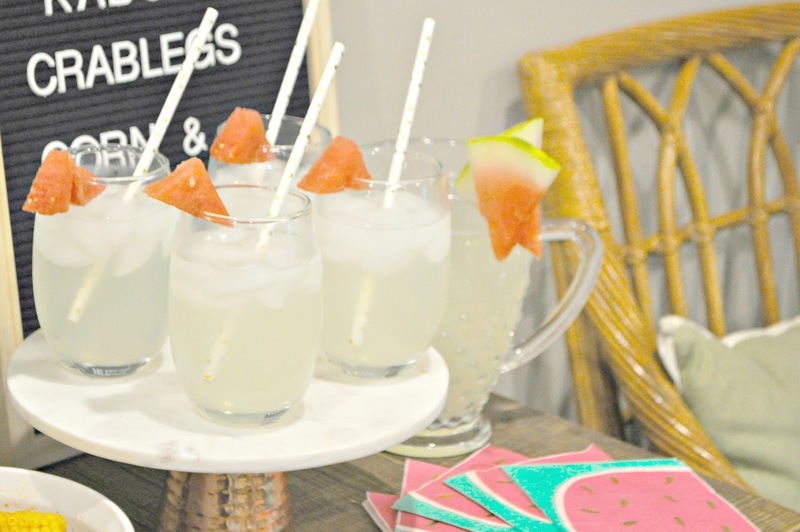 For our drink, I made a simple pitcher of sparking lemonade, which is simply mixing Sprite and Minute Maid Lemonade together and adding a watermelon twist as garnishment. It was delicious! 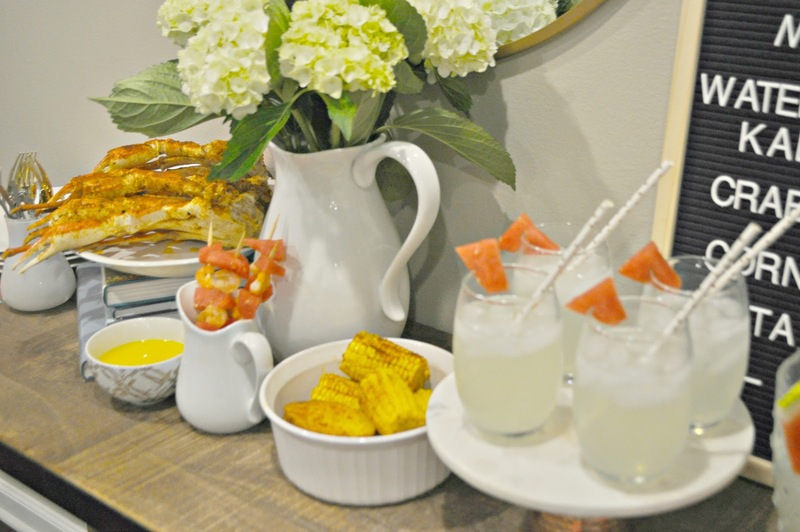 To go along with my seafood boil theme, I decided to create a sweet and savory kabob as an appetizer for my friends, using grilled shrimp, along with chunked cut watermelon. 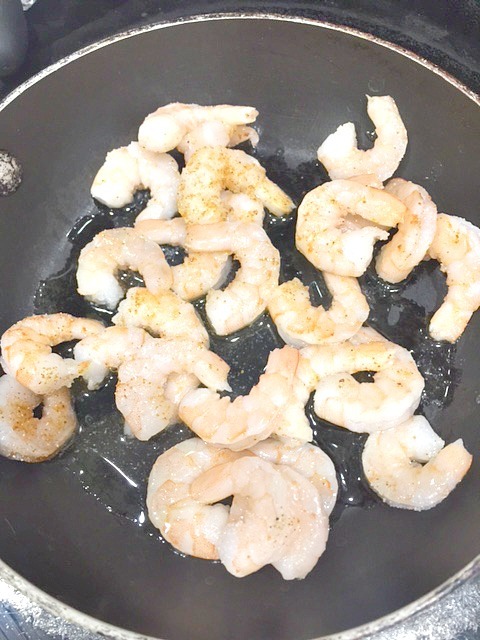 To make this kabob, I started by grill the shrimp in a pan with olive oil, garlic salt, and for a little spice, cayenne pepper. After grilling the shrimp and letting them cool, I cut up the watermelon is medium chunks, and added them to a wooden skewer. 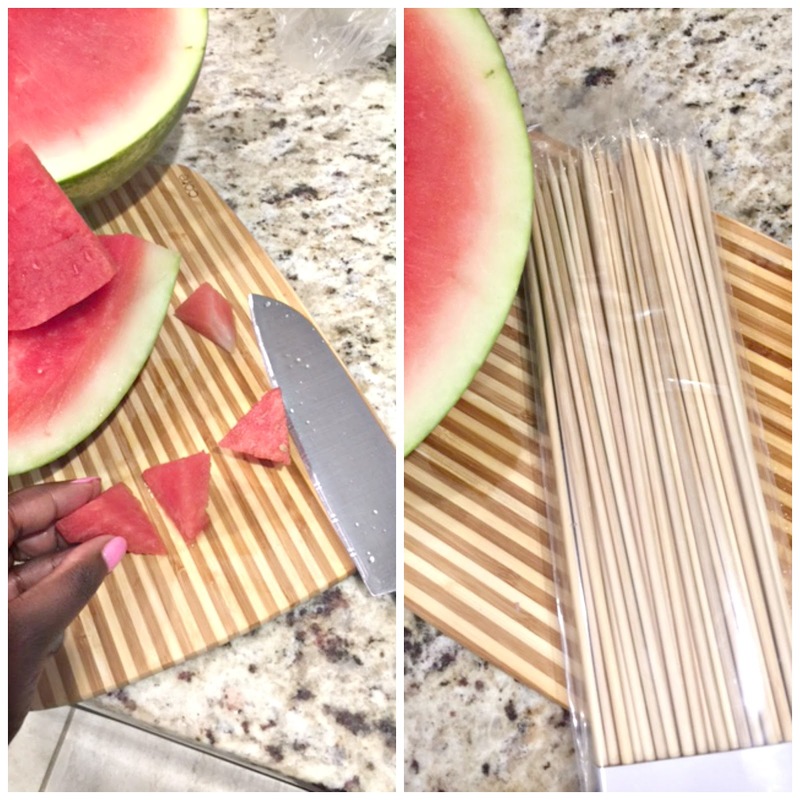 I assembled them using one piece of watermelon, followed by a shrimp, repeating these steps until I was satisfied with the amount on the skewer. 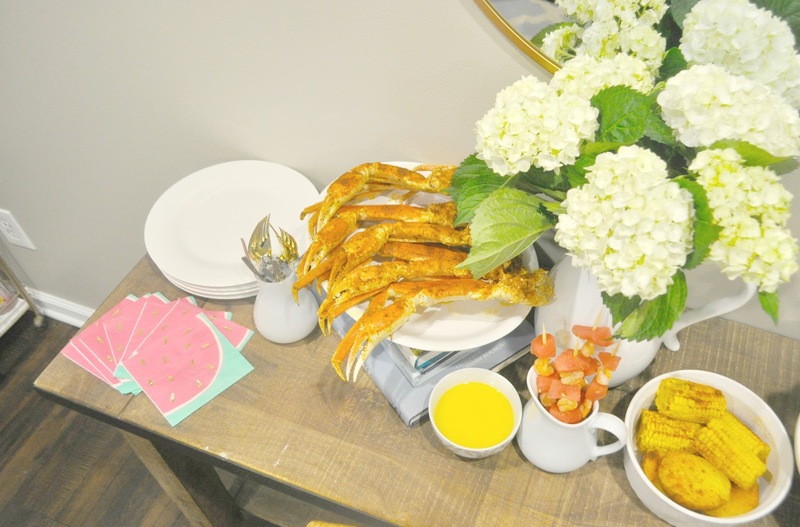 The rest of the menu included cajun seasoned crab legs, garlic butter, potatoes and corn. Yum!!! To add the variances in height of the dishes, I used books that I had around the house, and my cake plate for the drinks. 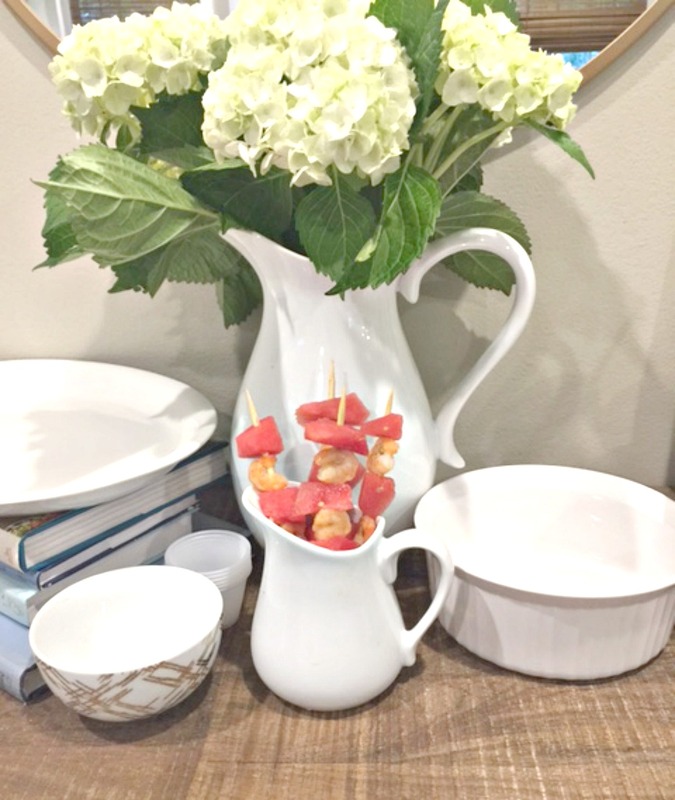 The kabobs were a hit and gave just the right of sweetness to all of the spice. So there you have it! 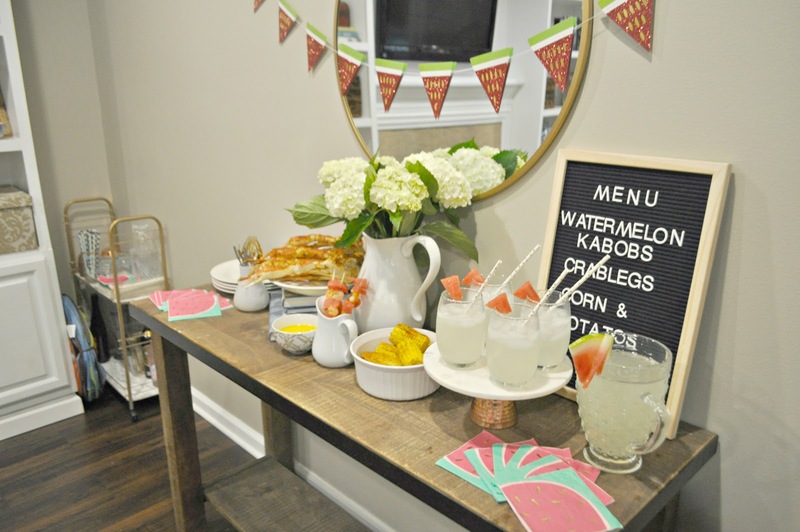 When are you hosting your next girlfriends get together? I’m hoping to host another one very soon! You can find other refreshing ideas here! If you are planning to host one, don’t forget to visit your local Kroger or Kroger banner stores and look for the 2 liter toppers and tear pad with coupons for additional savings. Sounds like a fun way to spend the evening with friends. 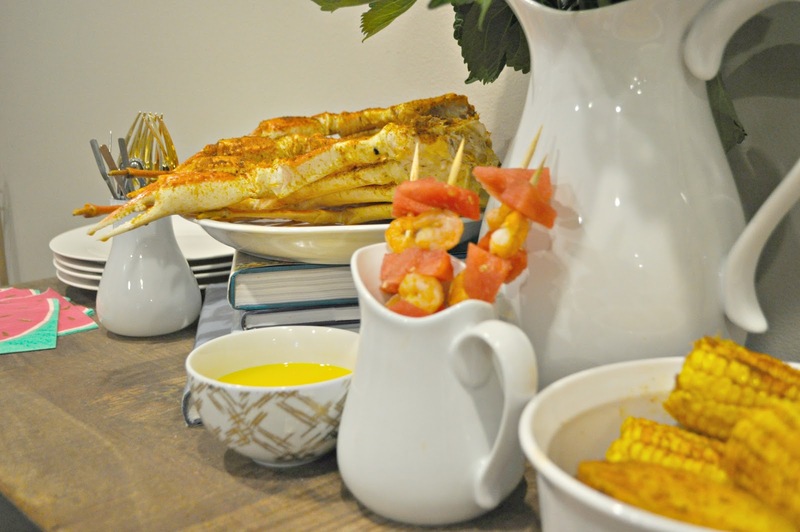 We love a good low country boil during the summer. Thanks Lauren! We had a good time. So creative, Erin! Thanks for sharing. Me and my cousin do something similar in August, our is outdoors, yours is so fancy. Looks like a good time! Thanks Tiffany. Outdoors sounds like fun as well! Its just too hot in Georgia to do something like that in the Summer. Erin you did such a fabulous job !! 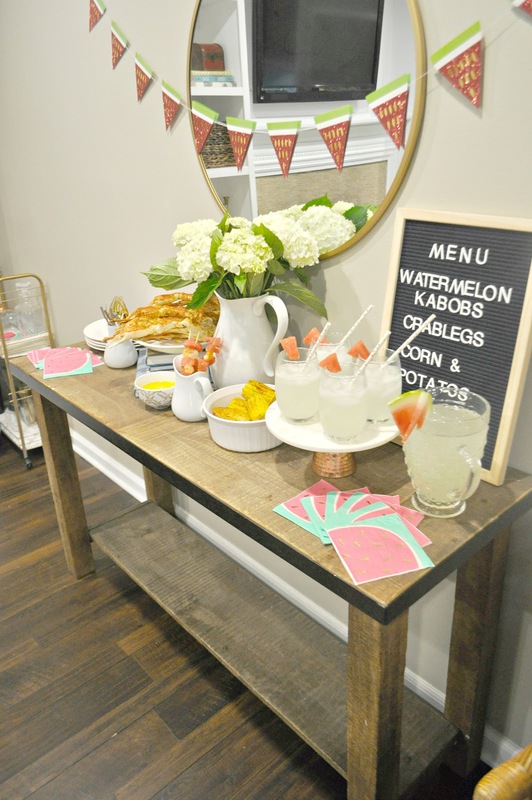 I love effortless yet cute entertaining!!! thank you so much Nicole. and thanks for all the inspiration!